In recent years, China's instrumentation industry has developed rapidly. However, at present, most of China's instrumentation products are in the middle and low grades, and the production status is not satisfactory. To win the competition with foreign-funded enterprises, Chinese enterprises must put a good technology in order to accelerate their technological progress. The instrumentation industry is a basic and strategic industry for the national economy. It has a wide range of applications covering industries, agriculture, power, transportation, science and technology, environmental protection, national defense, culture, education, and health. Instruments and meters as an important part of modern large-scale complete sets of equipment, its role can not be overlooked. In August 2011, China Instrument and Meter Industry Association announced the "12th Five-year Development Plan for Instruments and Meter Industry" (referred to as "Planning"). It is clear that during the "12th Five-Year Plan" period, China's instrumentation industry will mainly focus on national major projects. The demand for strategic emerging industries and people's livelihoods has accelerated the development of advanced automatic control systems, large-scale precision testing equipment, new types of instrumentation and sensors. The "planning" also pointed out that by 2015, the industry's total output value reached or approached trillion yuan, the average annual growth rate of about 15%; exports more than 30 billion US dollars, of which domestic companies accounted for more than 50% of exports, to "ten At the end of the 25th or 13th, the trade deficit began to decline. The status quo of China's industrial transformation and upgrading, energy conservation and emission reduction, and the development of strategic emerging industries have brought opportunities for the development of instrumentation. At present, China's instrumentation plays an important role in emerging industries such as wind power, nuclear power generation, Internet of things, smart grid, high-speed rail and rail transit, and the market is also expanding further. The "Action Plan" proposes that enterprises that have been identified as meeting the relevant policy conditions for sensors and intelligent instrumentation and instruments may enjoy the relevant preferential tax policies according to regulations. Visible, instrumentation companies will usher in a round of development opportunities. 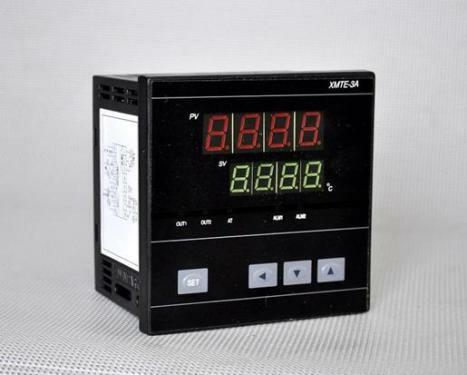 In the first quarter of 2013, China produced 25.217 million electrical instruments and meters, a year-on-year increase of 2.6%. Among them, 10.08 million electric instruments and meters were produced in March, an increase of 6.0% from the same period last year. In the first quarter, the industrial added value of China's instrumentation and manufacturing industry increased by 13.0% year-on-year, higher than the 9.5% increase in industrial added value of the country. In March, the industrial added value of instrument and meter manufacturing increased by 11.3% year-on-year. In the first quarter, investment in fixed assets of China's instrument and meter manufacturing industry was 22.91 billion yuan, an increase of 4.7% year-on-year, accounting for 0.4% of the country's industrial fixed asset investment, and 0.1% lower than the 0.5% for the same period in 2012. According to China Chemical Instrument Network edited rough statistics, industrial automation systems and instrumentation, optical, analytical, electronic measurement, testing machines and other scientific equipment, surveying and mapping equipment, medical equipment, environmental monitoring equipment, weighing instruments, water meters, gas meters and other supply instruments Growth is faster. However, there are also certain industry requirements that are limited by national policies and industry characteristics. Demand Forecast and Price Trends Currently, the domestic production capacity of electrical instrumentation products has been seriously excessive, and the entire industry is in a state of low profit. However, the cost-effectiveness of some high-tech products (such as electronic energy meters, etc.) will have a clear competitive advantage over older products. Corporate restructuring has played a significant role in accelerating the change in the type of business enterprises through restructuring, restructuring and other related measures, the state-owned enterprises significantly increased sales revenue and profit growth, both double-digit growth, there has been a trend out of the trough, reducing difficulties upward. Compared with previous years, the development momentum of private enterprises has obviously slowed down. The rising trend of foreign-funded enterprises is rapid, with sales revenue and total profits exceeding half of the industry, and asset investment far exceeds state-owned enterprises and private enterprises. China's instrumentation industry experts pointed out that at present, China's instrumentation products are mostly in the low-end level, the production status is not satisfactory. High-end, large-scale equipment and equipment are almost all dependent on imports, mid-range products and many key components. Foreign companies account for more than 60% of the domestic market. Domestic analytical instruments account for less than three-thousandths of the global market share. The gap between domestic instrumentation and imported products is significant. What are the reasons? According to relevant analysis, in addition to the overall quality of domestic corporate products lagging behind imported products, the lack of policy protection has also contributed to the uniqueness of imported products in the domestic market. The deeper internal reason is that since the early 1990s, in the areas of high-tech automated instrumentation and systems, scientific test instruments, and sensor components, the major players in competition have been the introduction and joint venture products. In the process of introduction, joint venture, and localization, domestic companies lacked research on the key technologies of products, they could not independently upgrade their products, and the phenomenon of repeated introduction was serious. China has joined the WTO, and tariffs on instruments and meters will be further lowered. Foreign companies will accelerate their entry into the Chinese market. In order to win the competition with foreign-funded enterprises, Chinese companies must turn good technology off and accelerate their technological progress.